Our Rhino-Tuff custom poly divider sets are the longest-lasting chart dividers available. Charts & Carts exclusive Rhino-Tuff made-to-order poly divider sets are backed by an industry leading 5-year guarantee. Choose your own titles! 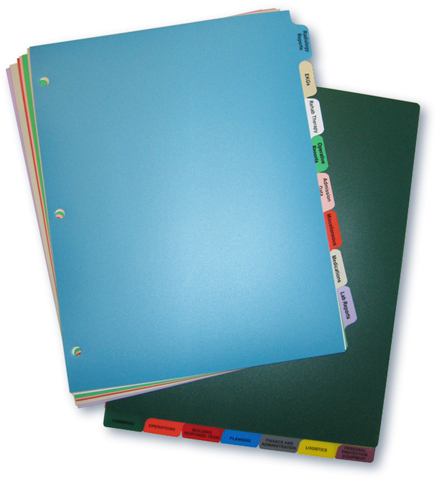 We will manufacture your dividers to exact specification, including tab title, color and tab position. Made-to-Order, Choose your own tab titles, color & position.